Technology is the king in modern times. Things which were considered unimaginable are happening in split of seconds. Disruptive technologies are challenging the way we think, visualize and implement the things. Digital printing, blockchain technology, artificial intelligence, APIs are the things that will rule in the years to come and legal system cannot afford to remain aloof to such changes. The need and requirement of new generation, business, law, transactions cannot be met if we continue with old age system and procedures. Technology is bridging information gap in financial sector. Fintech companies are revolutionizing lending activities. Conceptualization of Information Utilities (IUs) is perhaps the first instance where technology is being used to curtail the judicial process on account of proving of facts. T K Vishwanathan Committee Report recognized the fact and noted that "Under the present arrangements, considerable time can be lost before all parties obtain this information. Disputes about these facts can take up years to resolve in court. The objective of an IRP that is completed in no more than 180 days can be lost owing to these problems. Hence, the Committee envisions a competitive industry of "information utilities‟ who hold an array of information about all firms at all times. When the IRP commences, within less than a day, undisputed and complete information would become available to all persons involved in the IRP and thus address this source of delay". The Committee suggested introduction new institution of Information Utilities. “At all times, for all entities, IUs (put together) would have comprehensive information about the transactions which make up the liability structure of any given entity. In the case of a loan, they would have the record of the identity of the lender(s). In the case of a bond, they would have a record of the ISIN of the bond, and the depositories would have the record of the bondholders at all times. IUs would have records of the terms and conditions of all loans and bonds issued by all firms. For entities which have at least one listed security (either debt or equity), at all times, the terms and conditions of all loans and all bonds would be visible to the public. For entities which do not have even one listed security, at all times, the terms and conditions of all loans and all bonds would be visible to their existing creditors. Further, any potential creditor would be enabled access to this information by the entity. Cash flows associated with all securities (whether equity or debt) would go from firms to depositories, who would send this cash onwards to beneficial owners with the minimum possible delay. Information about default would come out through three channels: requirements of disclosure by listed firms, listed banks and depositories. When the insolvency resolution process or the liquidation process is triggered, the IUs and the depositories would submit a packet of information to the insolvency professional appointed by the adjudicator. This information would include the identities of all creditors and the terms and conditions of all liabilities, as well as assets registered. While all this information would be distributed at multiple distinct IUs, there would be a set of standard APIs through which software at the command of all end-users would be able to marshal all this information on demand. This would yield the full benefits of obtaining information from one central database, without the difficulties induced by centralisation. This would create an information-rich environment that will significantly reduce practical frictions that has, and would otherwise, bedevil the resolution of insolvency and bankruptcy in India”. National E-Governance Services Limited (NeSL) is the first Information Utility to be granted license to function as IU under IBC. IBBI has issued IBBI (Information Utilities) Regulations, 2017 to provide a framework for registration and regulation of IUs. For laying down Technical Standards of IUs, a Technical Committee was constituted on May 3, 2016 under the chairmanship of Dr. R. B. Barman, which submitted its first report on 16th August 2017. Based on the recommendation of the Committee the Board has laid down Technical Standards to ensure and enforce the reliability, confidentiality and security of financial information to be stored by the information utilities. Both Financial and Operational creditors are supposed to file information about transactions with IUs. As per sub rule 5(3) of Insolvency and Bankruptcy (Application to Adjudicating Authority) Rules, 2016, a copy of demand notice or invoice demanding payment served by the operational creditor shall also be filed with IU. Under section 18 of IBC, interim resolution professionals are required to file information relating to activities/ finance of the debtor with the information utility. Similarly, section 36 requires a liquidator to form liquidation estate as evidenced in the balance sheet of the corporate debtor or an information utility. On December 19, 2017 (read with clarification vide its circular dated January 04, 2018) RBI issued instructions to all Scheduled Commercial Banks (Including RRBs), Small Finance Banks, Local Area Banks, Co-operative Banks, NBFCs and All India Financial Institutions and ARCs to adhere to the relevant provisions of IBC, 2016 and IBBI (IUs) Regulations, 2017 and immediately put in place appropriate systems and procedures to ensure compliance to the provisions of the Code and Regulations. Vide Notification dated 11th August 2017 the regulation 3 of the Credit Information Companies Regulations, 2006 was amended to include an information utility and resolution professional appointed under IBC, as user for the purpose of the information with Credit Information Companies. Section 7 of IBC, attaches evidentiary value to the information as AA is required to ascertain existence of a default, inter alia, from the records with IU. A financial creditor has to support its claim before the liquidator by providing a record of such claim with an information utility. Under section 52 of IBC, a secured creditor can realize its security interest outside liquidation process provided such charge is registered with IU. As the sector has not seen much of activities as parties are still under process of understanding and resolving the issues relating to confidentiality, authentication and access, we do not have much material to assess its performance. However, IUs would see lots of activities in time to come as people/financial sector would recognize real advantage of filing of information and impact it would have in the event of default. IUs and information filed with such company would be critical for success of the scheme under IBC. The concept of IUs also needs to be adopted in other commercial legislations so that we have quick and efficient dispute resolution mechanism to support the economic activity. 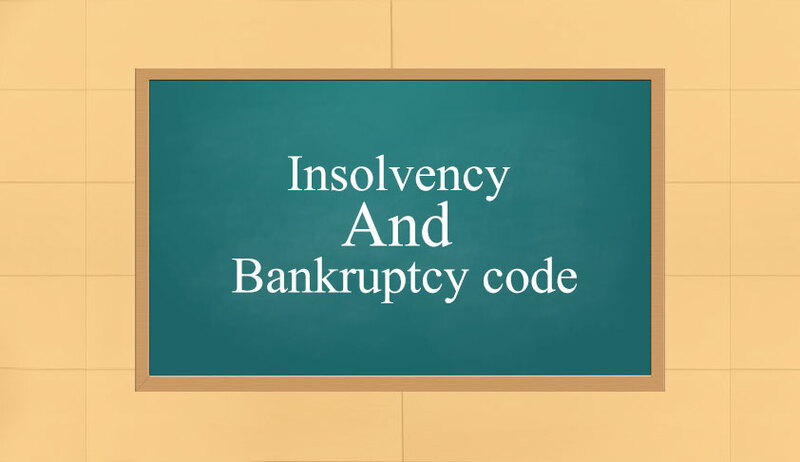 CoC constitute another important aspect of the eco system governing insolvency and bankruptcy under IBC. Interim Resolution Professional (IRP) has to constitute CoC, after collating all the claims on Debtor and on determining its Financial Position. Where the Debtor Company has no financial Creditors, the IBBI shall specify the Constitution, Composition and Powers of CoC. CoC consist of only financial creditors who also decide fate of the enterprise by 75% of the vote. The logic for conferring such critical power only on the financial creditor is explained in the Report of Bankruptcy Law Reforms Committee, indicating that only those creditors needs to be included who have “both with the capability to assess viability, as well as to be willing to modify terms of existing liabilities in negotiations. Typically, operational creditors are neither able to decide on matters regarding the insolvency of the entity, nor willing to take the risk of postponing payments for better future prospects for the entity. The Committee concluded that, for the process to be rapid and efficient, the Code will provide that the creditors committee should be restricted to only the financial creditors”. Financial Creditors mainly are from Banking sector. If we look at the extent of share of Banks in domestic credit, we note that credit extended by banks to the private sector as a share of GDP went up from 24% in 1992 to 53% in 2015. The share of banks in corporate borrowing has remained high and as of 2011 was close to 60% as highlighted in the Report of the Expert Committee to Revise and Strengthen the Monetary Policy Framework (2014). Thus, role of Banking sector and problem faced by them become critical in analyzing role CoC. As per IGDR REPORT - Non-performing assets in Indian Banks- The predominant position of government owned or public sector banks is due to share of such Banks in banking assets being as high as 70% of the entire banking sector. As against this share of the state owned banks account for less than 10% of the banking system assets in developed economies [Global Financial Development Report (2013)]. This explain the fact as to why there is over reliance on the Banking sector to finance development of the economy and also resultant NPAs. The report further explains the reason as to why both the sectors i.e. banking and industry are suffering. The report explains that “on account liberalization there was a huge demand of credit from telecom, textile, infra industries. Finance to such long term loans resulted in asset-liability mismatch problem and also to risk associated with delays and roadblocks due to policy issues, environmental approvals, and the (in)ability of the promoters to bring in large amount of equity needed to complete the projects. The Report note that the roots of the present crisis can be traced to the excessive lending done by the banks during the credit and investment boom of 2003-2008. In 2008, the world witnessed the Global Financial Crisis. In the aftermath of the crisis India experienced a dramatic slowdown in growth, a massive depreciation of the exchange rate, high inflation and a sustained period of monetary contraction during which RBI raised interest rates to deal with rising inflation. All of these events wreaked havoc for the corporate sector and in turn for the banking sector. The IGDR Report also states that various resolution mechanisms set up in the form of SDR, S4A, JLM and difficulty to arrive at common approach in large infrastructure projects did not work well in the absence of a pre-existing resolution regime. Given the small window for SDR it effectively resulted only in postponing NPAs. The 5/25 refinance scheme was limited to infrastructure and core industries. Moreover, it required banks to protect the NPV value of the loans refinanced, making it difficult to make the business sustainable at the same time. Asset reconstruction companies (ARCs) are thin, making valuation and asset transfer difficult. Bad loans sold by banks to ARCs halved from ₹50,000 crore over 2013-15, to ₹20,000 crore in 2015-16 and fell further to ₹15,000 crore in 2016-17. In the above background and continuous pressure of NPAs on banking and industry dictated the behavior of the parties in CoC. Analysis done by Crisil indicated that the Banks may have to take a haircut of 60 per cent, worth ₹2.4 lakh crore, to settle 50 large stressed assets with debt of ₹4 lakh crore. These 50 large stressed companies are from the metals (30 per cent of total debt), construction (25 per cent), and power (15 per cent) sectors, and account for half of the ₹8 lakh crore non-performing assets (NPAs) in the banking system as on March 31, 2017. Crisil estimated that banks have provisioned for about 40 per cent of this loan exposure. Banks worried about huge haircuts and provisioning norms coupled with accountability issues, were initially reluctant to avail IBC route and the activities only picked up with RBI setting up regime pursuant to the promulgation of the Banking Regulation (Amendment) Ordinance, 2017. An Internal Advisory Committee (IAC) was constituted. IAC recommended for IBC reference all accounts with fund and non-fund based outstanding amount greater than ₹ 5000 crore, with 60% or more classified as non-performing by banks as of March 31, 2016 and recommended 12 accounts totaling about 25 per cent of the current gross NPAs of the banking system for immediate reference under IBC. For the other cases Banks were given time to finalize resolution plan within six months and in cases where a viable resolution plan is not agreed upon within six months, banks were to file for insolvency proceedings under the IBC. The said 12 cases, namely Jyoti Structure, Essar Steel, Era Infra (still pending admission), Monet Ispat, ABG Shipyard, Electrosteel, Alok Industries, Amtech Auto, Bhushan Steel, Bhushan Power and Steel and Jay Pee Infratech are all pending for consideration before CoC and are near about nearing first phase of 180 days of CIRP. FRG data sheet compilation based on the cased filed show that though started late filing by Financial Creditors picked up during later half of 2017. With push from Government and RBI and also jolt before NCLT specially in the case of Kamenini Steel (which is under appeal before NCLAT) has lead the Bank to revamp their internal policy and decision-making mechanism. Further, improvement in NPA position and with demand for credit showing positive sign, we can expect better and more constructive and proactive role by Financial Creditor in CoC. However, with system still jostling with issues and looking for more clarity on several of the issues like provisioning norms in case of successful implementation of CIRP, interim financial, compliances of various requirements, valuation of assets, networth of guarantor/promoters, as discussed in the concluding part of the write, it can be placed at a moderate rating in our assessment balance sheet. Watching India's insolvency reforms: a new dataset of insolvency cases, Sreyan Chatterjee, Gausia Shaikh and Bhargavi Zaveri, IGIDR working paper WP-2017-012, August 2017.